Two articles that came out last week in The Boston Globe and the Wichita Business Journal talked about the fate befalling most architecture firms these days, the struggle to keep the doors open while projects are few and far between. Let's start with the Boston Globe article. In that story, Nancy Jenner, the acting director of the Boston Society of Architects, estimates that the average layoff rate in Boston architecture firms is already pushing a whopping 30 percent! In some, it is more than 50 percent! Firms say that with no new projects out there, things will only get worse in the next three to six months. In that article, Kermit Baker, chief economist for the American Institute of Architects, says that from the level of peak architectural employment in July 2008 through January 2009, architects lost jobs at double the rate of lawyers and accountants. That's according to U.S. Department of Labor figures for the nation as a whole. Some firms in the Greater Boston area have cut salaries from top to bottom. Others have switched to a four-day work week. Some no longer bring interns aboard. And other firms offer unpaid furloughs to select employees, aiming to keep them around for the future when things turn better. The article talks with architects who were laid off at Cubellis (which the article claims has dropped from 500 people to about 300 and closed some offices entirely) and Arrowstreet (which has gone from 170 people to around 50 or 60 people. Meanwhile, the same story holds true in Wichita, Kansas, where although firms are describing the cuts as minor and say recent business activity has shown signs of a rebound, they remain wary. Market instability is keeping some projects from even reaching the drawing board, the article cites local Wichita-area firms are saying. One firm cut 6 of its 104 employees while other firms have laid off employees as their largest clients such as Cessna Aircraft Co. slow down work during the recession or even file for bankruptcy in the case of mall owner General Growth. The article does conclude, however, by saying that many of the firms are hopeful that a couple of solid projects can either lead to more hiring or at least stemming the flow of layoffs. It's a good attitude to take. If your rainmakers are out there finding potential projects and your marketing staff does a bang-up job in its proposals, you can find yourself shortlisted, selected, and on the road to recovery in no time! According to the latest Washington (D.C.) Business Journal, Deltek, Inc. is suing three former employees who established a company called Iuvo Systems Inc. Deltek alleges the employees violated noncompete agreements and unfairly use some of its trademarks. Deltek filed its complaint against Chantilly, Virginia-based Iuvo on March 25 in U.S. District Court for the Eastern District of Virginia. According to the article, defendant Tom Truong, a former consulting manager at Deltek, created and registered iuvosystems.com on February 1, 2008. Iuvo provides consulting services that help businesses manage databases and other software, including Deltek products. Its customers include government contractors, engineering firms, construction companies and financial businesses. Truong was employed by Deltek until March 2008. Attorneys for Truong and two other former Deltek employees named in the lawsuit filed a motion April 20 to dismiss Deltek's claims against them. In its suit, Deltek states that one of the employees, who was employed as a managing director until August 2008, "assisted Truong and/or (the other employee) in the formation of Iuvo." The defendants also allegedly received confidential or proprietary information from an unidentified source within Deltek. Truong and the managing director, Edward Muldrow, signed two-year noncompete agreements preventing them from directly or indirectly competing with Deltek as "an employee or consultant of any firm or corporation engaged in a business which is in competition with the company or its subsidiaries." The agremeent also states that employees "shall not provide consulting services to any Deltek customer other than as an employee of (the company)." The defendants' attorneys argue that the agreements are unenforceable and that Iuvo has used Deltek trademarks in good faith to "fairly and accurately describe its services." But Deltek claims the use of its trademarks by Iuvo is confusing to customers who may think that they are getting services from Deltek or that Deltek is affiliated with or endorses Iuvo's services. Deltek is seeking a court order that would, among other things, stop Iuvo's promotion and sale of similar products, the alleged unfair use of Deltek trademarks and alleged false representations that Iuvo and Deltek are affiliated. The company, Deltek, is seeking at least $1 million in compensatory and punitive damages, three times the amount of Deltek's damages and Iuvo's profits, as well as attorney's fees, costs and interest. The District Court has scheduled a hearing for May 2 to determine whether to grant the defendants' motion to dismiss the case. Interesting article in Business First of Columbus, the weekly business journal covering the Columbus, Ohio area, that talks about the fervent activity surrounding a proposed convention center hotel. The Franklin County Convention Facilities Authority wants a national design architect and a Central Ohio design firm to administer the $160 million project. Last week, the agency sent a request for proposals to 58 firms interested in the project and is also seeking candidates via the Internet to submit proposals by the May 19 deadline. Not surprisingly, local architects told the newspaper that they expect heavy competition for design contracts. With the agency planning to select architects as soon as June while also looking for construction management firms in May and selection in July, there's plenty of activity and, by extension, many interested firms chasing the money. The authority's request for qualifications divides the architectural duties, with the project's design work targeted primarily for a national firm. Meanwhile, a local firm will share in preparing construction and bid documents and do construction administration. The article quotes Karlsberger, DesignGroup, and NBBJ Design architects and partners and is an interesting read. Given that there are very few projects out there, it's not surprising that they believe many national firms will be submitting proposals. Interesting poll question posed by PSMJ CEO and founder Frank Stasiowski on the LinkedIn networking site, but perhaps what's even more intriguing are the responses. Frank asked, "With signs of economic recovery, firms are beginning to hire again. Are you?" Answer choices include: hiring right now, advertising but not hiring, hiring within three months, hiring in six to nine months, or not hiring for a long while. What this means is that roughly three-quarters of firms are either hiring right now or plan to hire sometime in 2009. What the question does not ask, but should imply is that even if you are not hiring right now, now is the perfect time to post some job openings to see what candidates are out there. And if you find quality resumes coming across your desk (given the overall unemployment rate and the sluggish times seen by the AEC industry, there are plenty of worthy candidates looking for work), you need to bite the bullet and add them to your payroll now. Remember, if you don't make the hard decisions, it is all but certain that your competition will add to its workforce, putting you at a further disadvantage beyond your already-trimmed employee headcount and disappearing backlog. How many tea leaves do you need to see (the AIA Architecture Billings Index, three-quarters of firms saying they plan to hire sometime in 2009) before you are convinced the economy is turning around? Disagree? 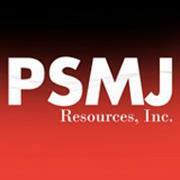 Drop me an e-mail at ehannan@psmj.com. ABI improves; bellwether of economic upturn? The news came out this morning and it confirmed the chatter PSMJ's management consultants have been hearing for the past few weeks: fortunes are improving in the AEC industry. The American Institute of Architects released its monthly Architecture Billings Index this morning and the ABI was up more than eight points in March. Indeed, after a series of historic lows, the March ABI rating was 43.7, up from the 35.3 mark in February. This was the first time since September 2008 that the index was above 40, but the score still indicates an overall decline in demand for design services (any score above 50 indicates an increase in billings). Perhaps most impressive was the new projects inquiry score of 56.6. As a leading economic indicator of construction activity, the ABI reflects the approximate 9- to 12-month lag time between architecture billings and construction spending. "This news should be viewed with cautious optimism," said AIA Chief Economist Kermit Baker. "The fact that inquiries for new projects increased is encouraging, but it will likely be a few months before we see an improvement in overall billings. Architects continue to report a diversity of business conditions, but the majority is still seeing weak activity levels." Regionally, the ABI breaks down as follows: West (36.1, down from 36.4 in February), South (43.4, up sharply from 35.5 in February and 34.4 in January), Midwest (37.5, up from 35.0 in February), and Northeast (41.8, up dramatically from 32.3 in February and 29.8 in January). The sector index breakdown is as follows: mixed practice (44.0, up from 40.1 in February), institutional (42.9, up sharply from 36.8 in February), multi-family residential (39.4, up dramatically from 33.3 in February and 29.5 in January), and commercial/industrial (35.0, up from 32.0 in February). This news comes in the wake of chatter among PSMJ consultants and on the LinkedIn networking site among A/E industry professionals that the economy is turning around. Also, the stock market seems to have risen from the floor reached a few months ago, although it has not returned to the levels it was six months ago. And the American Recovery and Reinvestment Act (the official name for the stimulus bill signed into law in February) seems to have boosted flagging spirits among AEC firm leaders. Proposal activity is ramping up (see PSMJ's Q1 2009 AEC Market Forecast) and projects are moving forward. Here's what you need to take away from all this: If you are still cutting costs and reducing staff, your firm is likely headed in the wrong direction. The firms that will emerge victorious from this economic downturn are the ones who took those cost-cutting actions several months ago and are now submitting proposals, firming up teaming arrangements, and hiring staff. Yes, hiring staff. Letting people go 6 to 12 months ago was a difficult, but necessary pill to swallow. In some ways, it's even tougher to convince yourself that getting your people trained is a worthy expense. But, trust me (and trust PSMJ), if you aren't doing everything you can NOW to prepare yourself for the influx of projects that is forthcoming, rest assured that your competition is ready to take your projects, take your people, and perhaps most importantly, take your profits. Anecdotal chatter among PSMJ consultants and on the LinkedIn networking site among A/E industry professionals leads me to think the answer to this is yes, even though the hard data that comes out from the American Institute of Architects (the Architectural Billings Index) and FMI says we are either at the bottom or haven't quite reached it yet. Indeed, while the Architectural Billings Index has improved from its all-time low, it remains sluggish as of the March numbers released last month (the new numbers should be out in the next week or so). And the most recent Construction Outlook, a quarterly construction market forecast developed by FMI's Research Services Group, forecasts nonresidential construction will plummet and begin at least three years of contraction. The bottom, in terms of both dollar volume and percent decline, will not be until 2010. Residential construction is not expected to recover until 2011. Going further, the FMI report indicates that project delays are four times the normal rate and are currently at 20 percent. Also, project cancellations are five times the normal rate and are currently at 10 percent. Where does the optimism come from then? Well, the stock market seems to have reached its floor and has risen slightly from those numbers, although it is still well below where it was six months ago. And the American Recovery and Reinvestment Act (the official name for the stimulus bill signed into law in February) seems to have at least boosted flagging spirits among AEC firm leaders. Proposal activity is ramping up (see PSMJ's Q1 2009 A/E/C Market Forecast) and projects seem to be moving forward. While PSMJ consultants don't see things really moving forward until next year, you cannot afford to wait until then to hire staff that you'll need to complete those projects. It's true that your overhead will take a hit in the meantime, but if you wait, all those talented employees who are either underutilized or unemployed will be snapped up by the competition. We waited too long as an industry to reduce our overhead when times got tough, we cannot afford to make the same mistake again when times get better.